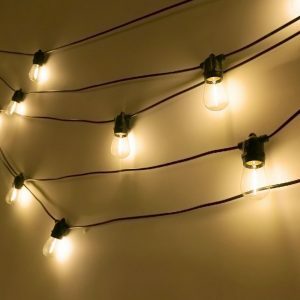 Our Jingle Jollys Festoon String Lights are great not only for Christmas but also weddings and birthday parties or special events, as well as creating a warm, inviting ambience with its bright and mellow glow. 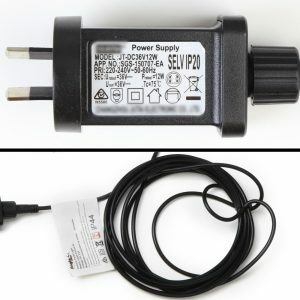 Suitable for both indoor and outdoor use, its IP44 rating means that it can be use in the rain and all weather conditions. 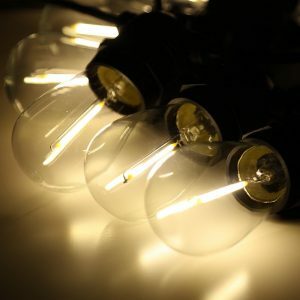 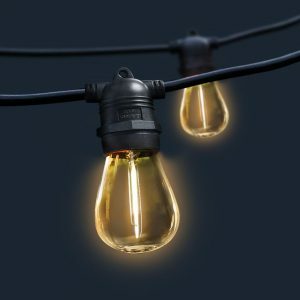 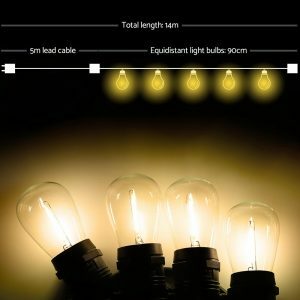 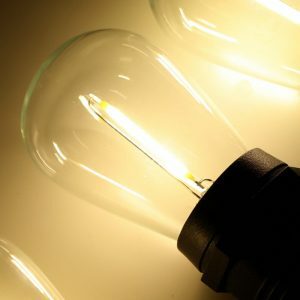 Each bulb draws a very low voltage and is placed 90cm equally apart from each other throughout its 32m length for an even distribution of illumination and brightness. 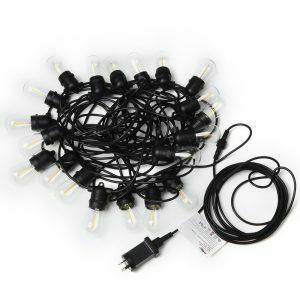 Not least, the each bulb has a 20,000 hours lifespan so that you can get to use the string lights for quite a while.